Ocho Rios is a popular spot for interesting excursions; here is home to two of the major waterfalls which greatly enhances this beautiful seaside town. The Dunn’s River Falls need no introduction; it is Jamaica’s premier tourist attraction. Another stunning option for water play is the Blue Hole Secret Falls, one of Jamaica’s new phenomena. It has been a well-kept secret for some time and is still in its original state; more interestingly, it is operated by locals and is usually less crowded than the other Fall. Water lovers will enjoy a tantalizing excursion which is becoming increasingly popular on the island. Horse-back ride and swim is the ideal activity to create unforgettable memories The idea of taking a horse for a swim in the blue Caribbean Sea is novel in and of itself. It is undoubtedly the epitome of a tropical excursion and has become the highlight of many vacationers to the island. Jamaica is blessed with many rivers, in fact, approximately one hundred and twenty. 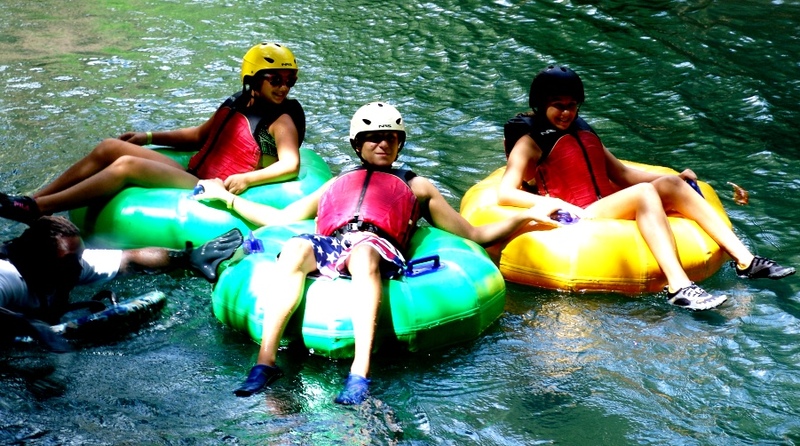 Another popular water excursion is River tubing. The waters are safe, being free from dangerous creatures putting your mind at ease and allow you to just have fun. If you will be arriving in Jamaica on one of Royal Caribbean’s Cruise Ships, Best Jamaica, the most guest centered Tour Company on the island offers top quality Falmouth Jamaica Private Excursions. There is no doubt a myriad of companies that offer shared bus service from the Cruise Port, but if you want to have the best time possible during your short stop in Jamaica, then private Falmouth Jamaica Tour with Best Jamaica is the way to go. When travelling to Jamaica, there is a zillion and one taxi service to choose from once arriving at the Montego Bay Airport (MBJ). Taxi Service can be prearranged, or requested in the moment at the airport. This option is standard practice at many other international airports where there is a taxi service in the transportation hall. Jamaica is a major Caribbean tourist destination, and Montego Bay is certainly the gateway of the island; welcoming an average of about 35 flights each day. These flights are mainly packed with vacationers visiting their favorite destination, all anticipating a great time which starts the moment their plane land. Considering that every moment counts in making vacations memorable, most vacationers want to get it right from the start; this is paramount. It would be a missed opportunity if providers of airport taxi service do not recognize that service is part of the vacationer over-all experience. Great moments with your cab driver will help set the tone of a hard earned vacation. The type of vehicles used for taxis in Montego Bay varies; ranging from sedans to minivans which are capable of fitting 10 passengers with luggage comfortably. The larger vehicle, known as mini vans are great for families, and those traveling with children have safety and comfort as this matters greatly. Some vacation packages do offer transportation to and from the hotel; this option is usually shared with other vacationers heading in the same direction, but not necessarily to the same resort. The vehicles used are usually larger units which must stop frequently to drop off other passengers along the way. A journey which could normally be a 30-minute drive may end up being a hundred and thirty minutes drive. You can imagine that this arrangement could be annoying and aggravating; after all, one could already be at the beach or sipping on a tropical drink at the pool side. Private airport taxi from Montego Bay is the best way to get your vacation started. Customizing your taxi service with a reliable private transportation company in Montego Bay is a sure way to guarantee that your vacation memories are protected. Thanks to modern technology, travelers can easily research a private airport transfer company in Montego Bay and engage their service. Some private taxi service in Montego Bay do offer complimentary child seats; keeping the younger ones safe. It also means that visitors could relieve themselves from the hassle of bringing their own. That first touch of the Jamaican warm sunshine could be a bit warm especially after the low cabin temperature in the airplane, so vehicles are normally fully air-conditioned. Considering that vacations are always too short, and wasting time at the airport can be infuriating. Stopping and dropping off passengers at other resorts can be bothersome especially after a long and tiring flight. This is why private airport transfer from Montego Bay airport is a great option. The wonderful thing about it is that it may not even cost a dollar more in comparison to shared service. It’s also great to know that service is personal, flexible and could even be customized. Book a Private Airport Taxi today. Quickly the fantastic news of this little “Gem” called Jamaica situated just 530 miles from Key West Florida got into main stream; visitors flocked the island in droves. There are so many things that make Jamaica beautiful and the ultimate vacation destination; they may be way too many to mention in one sitting; yet, there are some I will ensure that you learn about. History has recorded that the Doctors Cave Beach in Montego Bay became famous for purport of having curative properties. As such the water body has attracted myriads of persons suffering from arthritis and boasts claim of both healing and relief. No region is without efforts to improve infrastructure and enhance landscape. Hence, the Jamaica that we see today is much different than it was in the 1950s when visitors first began to indulge in its beautiful. As such, there are noticeable changes which in their own way have made the island better; being in a position to cater to the curiosities and adventures of our valued guests. As such, Jamaica is now even more beautiful.Visitors have the opportunity to indulge in an abundance of interesting and exciting things; whether it is excursions, private Jamaica tours or even strolling around your resort. The city of Montego Bay is the tourism capital of Jamaica being the host city of the second airport on the island; it is a great place to stay. Because of its strategic geographical location, it allows guest to enjoy the other famous resort towns. Located in the northwestern region of the country, Montego bay lies just 1 hour east of Negril, a small town with an ever increasing popularity. Imagine a seven mile long beach and you will be able to behold the beauty of Negril; imagine too the most golden sunset and you would head down to Jamaica immediately. Nature has that effect; its beauty is too much to take in. Negril is also home to the famous Ricks Café which facilitates the bravery of Cliff Jumpers; caters to the palate of food lovers and to the ears of those who find Jamaican music irresistible. Negril’s splendor makes it a great option for a private day tour from Montego Bay, even so enhanced by the scenic drive from Montego Bay. The roadway hugs the shoreline and creates the most enthralling vistas and panoramas. Heading East of Montego Bay is another wonder of Jamaica; there lies the town of Ocho Rios in the Parish of St. Ann. Private tours to Ocho Rios from Montego Bay is another favorite. Ocho Rios is the home of the Dunn’s River Falls and Secret Falls Blue Hole. For excursions, there are more things to do in Ocho Rios than the other resort towns. It is home to the Mystic Mountain where bobsledding on a rail is on the offer, zip line and a ride on the sky explorer which allows a breathtaking view high of the beautiful resort town. Other interesting and fun excursions can be experienced in Ocho Rios: horseback ride and swim, Dune Buggy, ATV and River tubing can also be found in Ocho Rios at several adventure parks. The Southern Coast of Jamaica has in recent times become a popular attraction. While it is not as popular as the Northern Coast, the south of the island has been surely finding its way to glory. Appealing adventures are found at the YS Falls, Appleton Estates Rum Tour and the Pelican Bar; these are sites that thousands of people enjoy on a daily basis. From North to South and to East, Jamaica is full of great things to so; every person should endeavor to visit the island Paradise: Jamaica. Many who have visited have expressed that they wouldn’t want to have lived and not experience the splendor of Jamaica. Come to Jamaica and feel alright. Nature has bestowed her bounty on the island of Jamaica; being located in the tropics she is a most suitable habitat for some of the world’s most astounding air bound creatures. Birds are one of nature’s wonders that can be found on the beautiful island, and even the most unsuspecting person cannot resist the splendor displayed by a bird; especially one that is in flight. The Rockland Bird Sanctuary is a haven for some of the island’s flyers; located in Montego Bay, it is one of the best kept secrets of Jamaica. Imagine sharing space with an array of birds of various types, shapes and colors and sizes; it is most definitely a sight to behold. The Rockland Bird Sanctuary is unique in its very nature and characteristics offering a type of bird interaction that is hard to find at other Sanctuaries. Situated just about 20 minutes outside of Montego Bay in a small community called Anchovy, this attraction is a gem and is a favorite of many persons; a great treat for bird enthusiasts or even for people with just mild interest in the activity of bird interaction. One’s experience at the Rockland Bird Sanctuary promises to be an unforgettable moment; having the matchless opportunity of hand feeding humming birds that live in the wild will have you reliving the moment even after it has ended. Humming Birds are a species of air creatures that live in the wild. There are about 320 species of hummingbirds throughout the world. The Trochilus Polytmus or commonly called the Doctor Bird or Swallow Tail Humming Birds are only found in Jamaica. This beautifully clad creature, being as rare as it is, is matter-of-fact the country’s National Bird appearing on most things significant to Jamaica and its culture. The uniqueness of these birds is astounding; their beautiful feathers have no counterpart in the entire bird population of birds, and they produce dazzling colors characteristic only of that family. To experience an interaction with birds in the wild, the Rockland Bird Sanctuary is the perfect place as it is a natural habitat for many other tropical birds, and offers the opportunity for bird watching and feeding. Visiting this sanctuary gives you a real sense of birds’ nature and splendor as well as the opportunity to freeze the moment in time with captivating photographs. A person may be willing to attest that they have gotten close to birds at some point in their lives, and even close enough to touch them. Actually, often times when humans and birds share a physical space and relate it is through caging and training. Having a bird as a pet at home may be a common practice and makes them part of a family, but in actuality, the bird would have been robbed of their natural habitats and tendencies. Seeing birds fly from a distance; looking at them in pictures, or on a computer are some ways to experience birds. However, it is quite a different thing to see them up close and personal. It is divine to have them perch on your finger and have a drink from a bottle. One has to see them up close to truly appreciate the subtle difference in the colors of their plumage as they glitter in front of your own very eyes. While there are many things to do while traveling in Jamaica, a visit to Montego Bay must include a trip to the Rockland Bird Sanctuary; it is absolutely paramount that you give some consideration to this unique attraction. It is great experience for the entire family and will create memories that will last a lifetime. The site is easily accessible to the less mobile folks. Both cruise and stop-over visitors can enjoy this attraction, you will be happy you did. Currently, there are three Royalton properties in Jamaica. Two of them are resident in the historic town of Falmouth which incidentally is also the home of a cruise port that was developed by Cruise Line Royal Caribbean. In the grand scheme of things Falmouth is relatively low-keyed town, yet exquisite in its own right. It is important to note that during the early 1800s, the town of Falmouth had running piped water making it the first town in the Western Hemisphere to accomplish this feat. By design, all the Royalton hotels are strategically placed. The first of the Royalton chain of hotels was the Royalton White Sand Beach. The property was the home of an older hotel that opened its doors in the early 1970s and was credited to be Jamaica’s first all-inclusive hotel. However, the other properties were newly built; the Royalton Blue Waters and Royalton Negril are the “brainchild” of the Canadian Tour Company: Sunwing. Evidently, one’s search on the worldwide web for a great choice for a vacation station will definitely lead to one of the Royalton resorts. The chain now has a stake in the local tourism market and fittingly so. One should know that the newest and largest of the three is the one located on the beautiful seven mile beach in Negril. Best Jamaica the most guest centered Tour Company does offer private airport transfer from MBJ to Royalton Negril . The rates are great and the service is excellent. Private airport transfer to Royalton White Sands is about a 35 minutes drive from the Montego Bay Airport. Just beside the White Sand property is its sister the Royalton Blue Waters. They are very close in proximity, yet operated as individual entities. Best Jamaica also offers private airport transfer to Royalton Blue Water at ridiculously low rates. Royalton White Sand and Blue Waters are located close to the Luminous Lagoon and Rafting on the Martha Brae River. It is also just an hour away from the world famous Dunn’s River Falls which makes it really centrally located. Royalton Negril on the other hand is well placed on the world famous Seven Mile Beach in Negril. It is just about 20 minutes from the ever popular Rick’s Café, home of cliff diving and beautiful Sunsets. The Royalton Family of resorts is a must stay for vacationers; undoubtedly it will all be worth it. Book your Private Airport Transfer with Best Jamaica and get your vacation off to a great start. Breathless Resort is now part of the Montego Bay landscape; situated on a peninsular on the western end of the popular resort town, Breathless Resort will surely find success on the island. It is strategically placed so accessibility for airport transfer to Breathless Montego Bay is a mere 17 minutes travel time. The Breathless Resort in Montego Bay is a state of the art resort, surrounded by the Montego Bay Marine Park with tropical lush mountain side in the back drop to the front of the hotel. On the opposite of the hotel are the Montego Bay Yacht Club and a bird eye’s view of the city of Montego Bay lending a perfect island feel to the over-all experience. The Breathless Resort takes luxury to the next level. Though small, boasting only 150 guest rooms they are state of the art. One of the biggest pull at this resort is the roof top pool bar, which is the only one in Jamaica thus far. It is a party spot for the young and the young at heart and a welcomed addition to the resort city of Montego Bay. While staying at this beautiful resort; opportunities to know the island are abundant, and certainly is a great way to enhance your vacation experience. Best Jamaica is the most guest-centered transportation provider on the island. We offer top quality Private Tours from BreathlessResort Montego Bay. Our prices are great and service is incredible. The island of Jamaica has many interesting attractions; during your visit you should definitely explore the island on a private tour provided by Best Jamaica; “We Know Jamaica BEST”. After all, this is the country that gave the world Bob Marley, the reggae music, the fastest man on the track, jerk chicken, beef patties and others. Some of the more popular tours include water activities at the famous falls in the world: the Dunn’s River Falls which has graced the cover of many travel magazines. 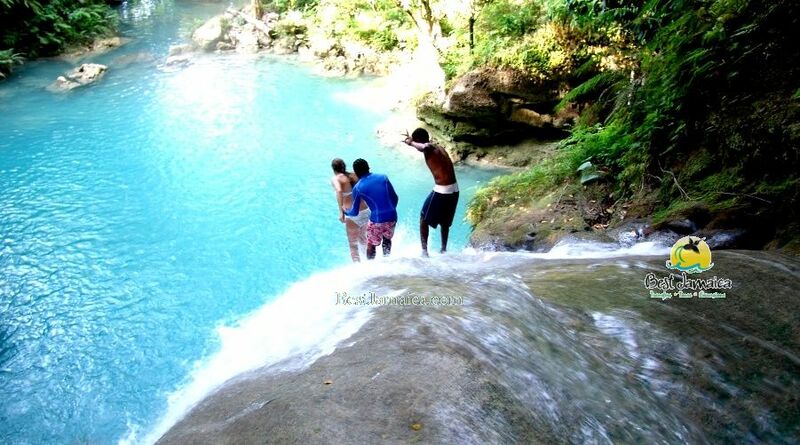 The Blue Hole Secret Falls is the new phenomenal which is getting rave reviews as the next big thing in Jamaica. The resort town of Negril is also another favorite, it boasts a 7 mile long white sand beach; the envy of every township on the island. It is home to Rick Café famous for cliff diving and breathtaking sunsets. Over all, Jamaica is a great place to visit whether you are staying at the Breathless or another one of our beautiful, fun-filled all-inclusive, boutique style or villa resorts. In summary, the beaches are spectacular, the drinks are fine, the food is great and the people are fantastic. You can’t ask for more. Come to Jamaica and feel alright. You should have seen the excitement in her eyes when she saw the sign! She had spent much of her travel time wondering if she would have transportation to go to her resort; her husband tried to encourage her to be optimistic, but she couldn’t resist. Her thought was: I will be a in a foreign country, what will I do? All the worrying and it was for nought; just as it was stated on her voucher: your hostess will be holding the Best Jamaica sign; and she was. She was so happy at that point that she hugged her tightly. That was the end of her worrying and the beginning of what she described as the BEST VACATION EVER! How did it begin? With worry-free private airport transfer provided by Best Jamaica, the most guest-centered transportation company on the island. It is our promise to be: “the guardian of your satisfaction” and we strive to fulfill that promise every time. Your stay at the Hilton Rose Hall will be great; there is no doubt. We’ve heard the comments that our guests make when we pick them up on the day of their departure and they are usually satisfied. Your travels with Best Jamaica will be superb and there is no doubt in that either. 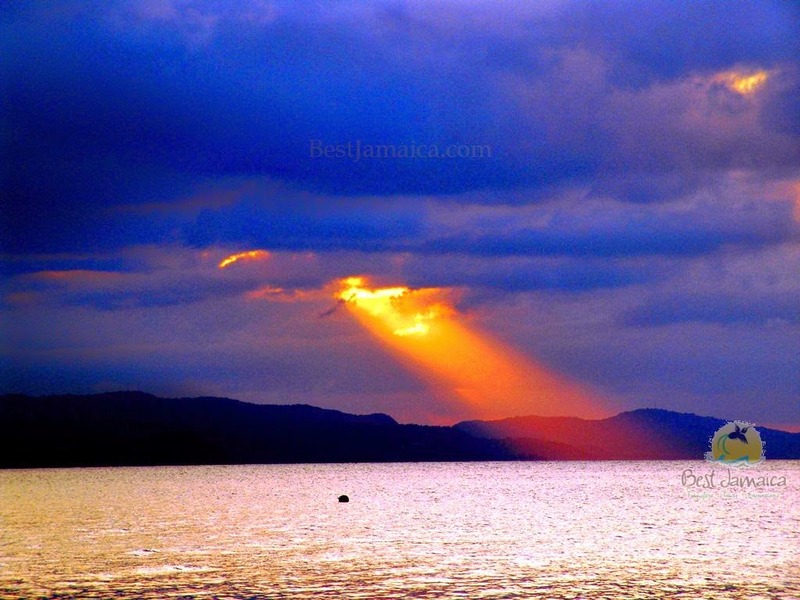 That is why we are named: “Best Jamaica”; it is so that you are guaranteed the best at all times, with no compromise. High quality, reliable, professional, courteous are just a few adjectives that we endeavour to be used to describe our service. We do what it takes and more to ensure that our guests know that they are getting the best. The rates, oh my! That’s another talking point; for only $30 each way (for 1 to 4 guests) there is no competition. And that is not a per person rate; it’s the total. You don’t have to wonder if you have found your choice; you deserve the BEST and we deliver the BEST. Make your reservation today and experience the worry-free service that many of our guests do; and enjoy your stay at the Hilton, Rose Hall. If you are traveling to Jamaica and need private airport transportation then Best Jamaica should be your choice. 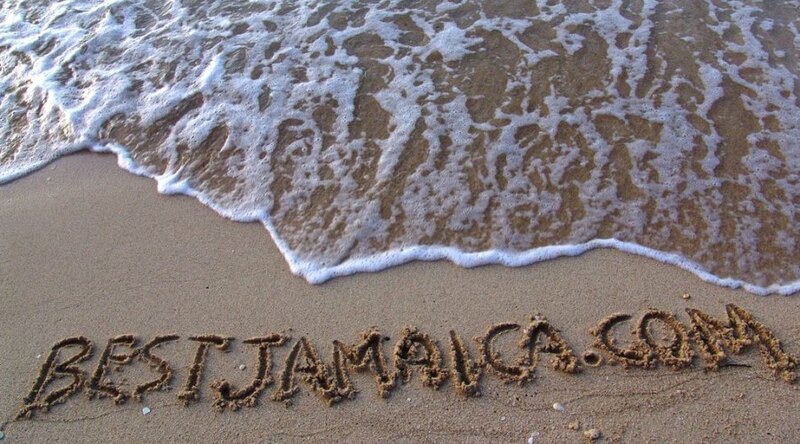 Ever since Best Jamaica got started one of our main priorities is to stay true to our name. We ensure that our name ‘Best Jamaica’ become the beacon of our operation which affords many positive ramification. With a name such as BEST JAMAICA, we are totally inspired to be nothing but the best, give nothing but the best at all times. Our review on both TripAdvisor and Google Plus are a testament to this fact, as we always seek new ways of wowing our visitors. Our private Montego Bay Airport Transfers are the best in quality and price. In fact Best Jamaica has managed to offer top quality service at great rates and is probable the only entity that has these two qualities juxtaposing and running parallel with each other. We are totally committed to what we do. Our staff takes pride in customer service and drivers and hosts are properly trained. Q: How far in advance should we book our private airport transfer? A: We offer only private transportation and our operation is based on reservation but we always try and accommodate all late bookings. However, the best practice for to ensure smooth operation is to book as early as possible. Q: Do you offer shared transportation? A: No Best Jamaica offers only private airport transfers and tours. Q: Do you provide car seats or do we have to take our own? A: Best Jamaica is the most guest-centric Tour Company on the island and does provide complimentary child seats on our tours and private airport transfers. A: All our prices are quoted in USD which is our preferred currency. A: Yes we sure do, yes we may pay with a credit card, cash or via PayPal. 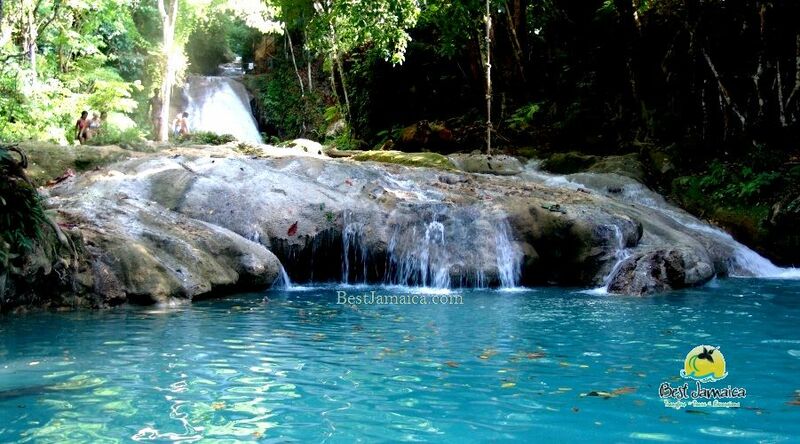 Blue Hole Secret Falls Ocho Rios Jamaica. Splendid, magnificent, impressive, marvelous, wonderful, fabulous, super, impressive, grand, majestic, splendid and extraordinary are just some of the adjectives that is used to described the natural phenomenal: Blue Hole, a water fall and river situated just outside of Ocho Rios. Jamaica is blessed with many rivers; in fact approximately one hundred and twenty of them with most of them originating in the center of the island and emptying into the Caribbean Sea. Two thirds of the island’s land surface is covered with limestone, thus making most of the terrain hilly and uneven. These lime stones also provides underground aqueducts and sinkholes that permits different watercourses to meet up and resurface bigger as they find their way to the coastline. The Blue Hole Secret Falls is a classic beneficiary of this natural occurrence. The source of the water originates in the hills, makes it way towards the coastline and interacting with the limestones which is evident in the blueness of the water. The Blue Hole Secret Falls is a great place for a Day Excursion. It offers diving, swimming, jumping, rope swings and cave exploration. It has many pools with different dept from shallow to deep, and small to large in size and narrow to wide. It is a must visit at least once especially since it is not as commercialized as some of the others. It’s a secret you must discover. Travelling to Jamaica has never been easier. You searched and found the Hilton Resort located in Rose hall, Montego Bay. Now all you will need to get there once you arrive and are processed in Immigration and Customs. Best Jamaica, the most guest-centred transportation Service in Jamaica will be awaiting your arrival to complete the mission in style. Our user-friendly website allows you to make inquiries that will be addressed within hours. Upon booking you will receive your confirmation voucher with all the necessary details to get your vacation off to a great start. After a few minutes with us you will know for sure that you choose the best transportation company and of course it will be worry-free. Having been met by your personable host and your driver summoned to your service, the journey to the Hilton will be a short ten (10) minutes. You would have embarked a modern mini-van, pre-cooled for your comfort, and within minutes you are off to a great start of your vacation. Best Jamaica would have fulfilled our promise to ensure that your arrival in Jamaica, and travel to your resort being a worry-free experience. Vacationing in Jamaica? Staying at one of the Riu Resorts in Montego Bay? Getting there will be a worry-free experience once you touch down on our beautiful island. Best Jamaica is the most guest-centred airport transfer provider in Jamaica. From the point of inquiry, to booking, unto payment it’s a smooth process. You will find that when we pick you up upon arrival we will be on time, courteous and professional. When we arrive on the day of your departure we will again be on time extending the same courtesies. Your journeys with Best Jamaica are guaranteed to be the best ground transportation ever. You have been planning this day for a while; haven’t you? Vacations are special and the team at Best Jamaica knows that. We know that the memories that are created will be cherished for years to come. As our valued guest, we will ensure that you will be able to create and capture awesome memories from the beginning to the end of your stay in Jamaica. Many guests have described our service as: punctual, courteous, professional, safe and comfortable. We strive to be all that and more as we live up to our name of being the Best. Your journey to any of the three Riu Resorts in Montego Bay will be a five (5) minute ride provided in a modern, clean and air-conditioned motor vehicle. Your driver will be expecting you and will be ready with a warm Jamaican smile. You will be able to join in the chorus sang by the any other guests who have been awed by our impeccable service that Best Jamaica is indeed the Best provider of airport transfer service in Jamaica. Our strong web presence makes us easy to find; our user-friendly website will allow you to make inquiries and bookings, and you will receive a response within 24 hours. Many guests have commended our immediate response time too. When you book and travel with Best Jamaica to the Riu Resorts in Montego Bay you will have no regrets. Worry-free transportation is a guarantee. Book today and treat yourself to the Best. The Hilton Resort is a short distance away from the airport and our team wastes no time in getting you there. Being the guardian of your satisfaction, Best Jamaica endeavors to provide high quality transportation service that is second to none. As a guest, you too will have the pleasure of the enjoying the superb service that has become the hallmark of who we are as a company. At the end of it all you will want to tell the world about the fantastic service that you received while in Jamaica…all because you chose the BEST- that is why we are Best Jamaica. Your time in Jamaica; and in particular your stay at the Hilton, Rose Hall begins only ten to fifteen minutes after you are greeted by the Best Jamaica hostess at the airport. When you choose Best Jamaica as your provider for Private Airport Transfer from the Montego Bay Airport to the Hilton Rose Hall, you are guaranteed courteous, professional and safe service in modern, clean and comfortable motor vehicles. Best Jamaica offers the lowest rates in the industry; we believe that the cost of ground transportation should not be a deterrent to having the best travel experience while you are on vacation. When you book with us, we secure your uncompromised private airport transfer to the Hilton Rose Hall. At the low cost of US$30 each way, you will be courteously greeted by your hostess on your arrival and picked up on time by your professional driver on the date of your departure. We await your arrival. Hurry on down. Private Airport Transfer Holiday Inn Montego Bay. It’s all about you when you arrive in Jamaica. Your decision to stay at the Holiday Inn Resort Montego Bay is a great one, it is a family affair from the day you arrive until the day you leave, and you will surely not regret it. The quality of your vacation is enhanced to an even higher degree when you choose Best Jamaica as your provider of Private Airport Transfer to Holiday Inn Montego Bay. The team at Best Jamaica bears in mind that your vacation must begin on the best foot ever so we ensure that upon exiting the airport you will be off to the Holiday Inn Resort ; waiting is not an option. The Holiday Inn is just a 15 minutes away from the airport in Montego Bay, and you may have been deliberate in choosing a resort that reduces travel time. You are no doubt already convinced that your stay at the Holiday Inn Resort will meet your expectations. You should know too that when you travel with Best Jamaica while you are in Jamaica is guaranteed to be a superb experience. The mission of our company is to deliver exceptional service to our international quests in who we take great pride in serving. We knowing that there are so many choices of vacation spots; your decision to visit Jamaica is not taken for granted. For this reason we guarantee that our rates are competitively priced, and the quality of our service is second to none. For the low price of US$26 you will enjoy on time, courteous, professional and high quality private airport transfer from the Montego Bay Airport to the Holiday Inn Rose Hall Hotel. Your vacation memories are guaranteed secure and lasting having chosen Jamaica as your vacation destination, the Holiday Inn for accommodation and Best Jamaica for transportation. Book today and seal the deal for the vacation experience of a lifetime. Best Jamaica also offers private tours from the Holiday Inn. Best Jamaica offers worry-free private airport transfers from the Montego Bay airport to the Iberostar Grand in Rose Hall Montego Bay. In fact we transport all three Iberostar Hotels additionally: Iberostar Suites and the Iberostar Beach. Located a short 20 minutes east of the airport, you are guaranteed the best airport transfer rates to the Rose Hall Iberostar Hotels when you travel with Best Jamaica. We are not only famous for having the best rates, we also have the best service; our online reviews are a testament to that fact. The satisfaction of our guests is of paramount importance to us. Best Jamaica combines two significant aspects of travel which is not popular among our competitors. For many guests, the combination is rare, but we find it necessary to make them a major component of our modus operandi. The merger we are speaking about is ‘great rates backed up with fantastic service’. Our main aim is to satisfy our guests who has trust us over the years to get their vacation off to a great start while ending it smoothly. Best Jamaica has mastered this art, and now we can safely say that we offer the best worry-free private airport transfer to the Iberostar Grand Rose Hall Montego Bay. Best Jamaica operates a modern fleet of vehicles which are all well maintained, clean, comfortable and fully air-conditioned. Our drivers are all trained in customer service and defensive driving. Our host at the airport cannot wait to welcome you with a warm Jamaican smile and whisk you off momentarily with one of our amiable and competent driver. We know that there is no doubt that when you choose Best Jamaica your vacation will be off to a great start as soon as you exit the airport. Such memories will commence upon your arrival in Jamaica. Imagine being courteously received by your host upon exiting the airport and being on your way in your pre-cooled motor vehicle that has been awaiting your arrival. Upon entering the gates of the Iberostar Beach Resort you would have arrived in the finest style. When you choose Best Jamaica as your private airport transfer provider, you are guaranteed high quality, professional, on-time and courteous service. These are just a few words that describe the level of service we have designed for our valued guests. Your satisfaction is our guarantee as we strive to ensure that your travel with us from the airport and back is worry-free and at the same time quite engaging. The journey from the Montego Bay Airport to the Iberostar Beach is approximately fifteen (15) minutes. Our guarantee to you is protected by our responsibility be the best as our name suggests. The team at Best Jamaica is guided by the mission of the company to be the most guest-centred provider of transportation services.In the same way that Iberostar Beach Resort has pledged to serve you at the highest level; we compliment your accommodation experience; only that you will receive the best of what is available on the island as transportation service. Your stay in Jamaica promises to be fun in the sun, beach, tropical food and just pure bliss. With Best Jamaica our promise is punctuality, safety, sharing fascinating folklore, engaging and courteous drivers. The best of what you can imagine transportation to be is what we deliver. Visit our website at www.bestjamaica.com and book your private airport transfer to Iberostar Beach Rose Hall. For the low cost of US$30 each way your arrival in and departure from Jamaica is guaranteed worry-free. The Royalton Blue Waters is for the royal vacationer; indeed you are royalty, so your vacation at the newly constructed resort will be no less than you expect. There is no doubt that you chose Jamaica as your vacation destination because you intend on having the time of your life; you may have heard that the island of Jamaica is one of the best choices if you intend on creating lasting memories and have some fun in the sun. Best Jamaica is the most guest-centred transportation company on the island. We agree with you that Jamaica is the best place for a vacation and we have packaged all that is “best” about Jamaica in the finest way just for you. Private airport transfer to the Royalton Blue Waters is provided by Best Jamaica; professional, quality and affordable ground transportation awaits you once you arrive in Jamaica, and better yet, your satisfaction is guaranteed. Prior to your arrival in Jamaica, you would have already been confident that you are off to a great start; the online service received upon submitting your inquiry on Best Jamaica’s user-friendly website will be astonishing, and you will know very well that you are in good hands. Upon arrival you will know for sure that you made the best choice; you will be greeted by your personable host, and once outside the airport, you will be off to the Royalton, Blue Waters as quickly as you can blink. Your experienced and professional driver after ensuring that you are comfortable - off you go. Within thirty five (35) minutes you would have arrived for what will be phase two of your Jamaica experience. Travelling with Best Jamaica you will feel the authentic energy that we put in to help make your vacation special. Our modern, immaculately maintained and comfortable motor vehicles is for your convenience and safety; our trained drivers provide the high quality of service that makes you know that you are appreciated. Between your stay at the Royalton Blue Waters and your ground transportation service provided by Best Jamaica, upon arrival and departure you will know that indeed you experienced the best of Jamaica and you will be so prepared to shout it to the world. For the low cost of $50 each way you can enjoy the reality of perfection in paradise. Book today and get your vacation off to a great start. A vacation stay at the Holiday Inn in Montego Bay Jamaica promises to be great fun. The resort is a family oriented space filled with activities for every member of the clan. You are already convinced that your choice of accommodation will suit you well. You should know too that your choice of ground transportation while in Jamaica should suit equally well. You know now that Best Jamaica provides the highest quality, lowest cost private airport transfer from the Montego Bay Airport to the Holiday Inn Montego Bay. Booking your ground transportation is most convenient; our website provides an easy to use option to secure airport transfer prior to your arrival in Jamaica so that there are no hiccups once you arrive. Your experience with Best Jamaica, the most guest-centred transportation provider on the island promises to be just as the name says – the BEST. There is no compromise on quality, professionalism and safety when we provide service to our valued guests. Your satisfaction is our guarantee because we aim to please. Best Jamaica has been providing private airport taxi to Holiday Inn,Montego Bay for several years. The short trip; lasting only 10 minutes will be a great experience. Our drivers take the time to ensure that you are comfortable and fully engaged on the short ride and upon arrival your royal treatment will continue until you are safely released into the hands of the able Holiday Inn personnel. Your arrival being smooth and comfortable; your departure will be of the same high quality. We will be on time to pick you up on the day you depart and you will be on your way without delay to return to your home. At the end of it all between your stay at the Holiday Inn and your superb airport transfer provided by Best Jamaica you would have now been able to describe your vacation as AWESOME. If you have heard of the best of three worlds it is probably from someone who vacationed at one of the three Iberostar resorts in Montego Bay. Of the three you’ve decided to stay at the Iberostar Grand; there may be several reasons for choosing the Grand over the other two resorts; yet you will be in paradise nonetheless, and so you will definitely have a great time. When you arrive in Jamaica destined for a grand time at the Iberostar Grand you will also need to have grand ground transportation. Best Jamaica is the most guest-centered transportation provider on the island, and airport transfer to the Rose Hall Iberostar Grand is one of our hallmarks of outstanding service. After booking online, we will confirm your request and furnish all the necessary information for your ground transportation arrangement. Upon arrival, there will be no wait time; your host will be awaiting you just outside the airport; within minutes you will be off to your resort. Within fifteen (15) minutes you would have arrived and disembarked your comfortable motor vehicle. You would have been ably assisted by your personable and professional driver to get your baggage in the hands of the bell man; you would have enjoyed phase one of your Paradise experience. Best Jamaica sets the tone of what is “best” about Jamaica, and you will get to enjoy the rest until we return on your departure date to conclude our commitment to your having only the very best. Book your airport transfer from the Montego Bay Airport to the Rose Hall Iberostar Grand today and enjoy the high quality customer service and the low unbeatable price of $30 each way. With Best Jamaica your satisfaction is guaranteed. The promise from the Sunscape Cove Montego Bay is that all guests are entitled to an “elevated Unlimited-Fun Caribbean escape”. This all all-inclusive resort is one of the great places in Jamaica to vacation. When you arrive in Jamaica to begin your awesome vacation at the Sunscape Cove you will need airport transfer from the airport to the resort. Vacations are special; and if you ask us, it begins once you pack those bags and leave your home; everything matters from there on. While there is no telling what your flight experience will be; truly we hope it will be safe and great. What we know is that once you arrive in Jamaica we will be there. Best Jamaica, the most guest-centered airport transfer service provided is committed to be the guardian of your vacation experience from the moment you book with us. Transportation in its many forms is an important part of your vacation experience; we know this, so we provide safe, reliable, on-time and yes, an engaging experience when you travel with us. You probably are already confident that your stay at the Sunscape Cove will be quite a thrill; you should know too that your journey with Best Jamaica will create unforgettable memories also; it will be like having two vacations in one. Our modern motor vehicles are kept in an immaculate condition and suitably cooled to the perfect temperature so that when you embark you are most comfortable. Your host would have met you upon your exiting the airport and ushered you to meet your personable driver who whisks you off to your resort as soon as you have settle in and your luggage secured. Imagine that; the perfection of airport transfer to Sunscape Cove/Spash; so off you go to the second phase your vacation and within twenty (20) minutes you are there. There is no doubt that we will be there on time on the day you depart; on time once again and with the same professional and personable service on the way back to the airport. Parting will not be as pleasant but there is no doubt that your satisfaction level will be tipping the scales. We aim to please and we make sure that you are. We will be looking forward to you returning in the future and of-course be once again ready to deliver an even more improved service; only the best is good enough for our wonderful guests. Book today to create your own memories with airport transfer to Suncsape provided by Best Jamaica; indeed you will experience what is best about Jamaica. Private Airport Transfer to Holiday Inn Montego Bay is one of the signature services offered by Best Jamaica. We are happy to extend this top-quality service provided by the most guest-centered Tour Company on the island does. Gone are the days when top quality airport taxi service was a hit or miss experience. Now, travelers have a golden opportunity of making informed decisions about what they want to be a reality of their vacation experience. Of course, as a vacationer you will want to choose the best. It is no secret that Best Jamaica has some of the best trained drivers, both in customer care and defensive driving. In addition, we have the best rate from MBJ airport to Holiday Inn Montego Bay starting at US$25. Best Jamaica, the ultimate transportation company also offers Tours from the Holiday Inn. In the same way that private airport transfers are our forte; so are tours, all which are private and yet competitive with shared transportation. You will be blown away by the high quality of our service and also by how much we strive to make your vacation moments unforgettable. Your cruise vacation has landed you on the Falmouth Port on the island of Jamaica and you want to see the best of the island in the short time you will be here. You will be pleasantly surprised by how much you will be able to do on a Private Cruise Excursions from Falmouth Jamaica offered by Best Jamaica. Best Jamaica is the most guest-centered Tour Company on the island and exciting and low cost Private Cruise Excursions is one of the Hallmark of our transportation company. We have been providing top quality tours from Falmouth Cruise Port since the port opened in March 2011. We have helped hundreds of cruisers to enjoy exciting day trips on their visit to our island; creating great memories that goes with them as they return to sea and back home. The Port of Falmouth situated on the Northern Coast of Jamaica is approximately 35 minutes East of Montego Bay, the tourist Mecca of Jamaica. In 60 minutes travelling West is the ever popular Ocho Rios, a seaside resort town known for its majestic water-falls. Jamaica’s premier tourist attraction, the Dunn’s River Falls is located in Ocho Rios. This magnificent, all natural waterfall has been enjoyed by millions of visitors over many decades. To add to the wonder of water play, the Blue Hole Secret Falls, also located in Ocho Rios has in recent years become a favorite place to visit to frolic in the rich blue body of water and cascading falls; the Blue Hole is one of those must do fun-filled excursions. These two stunning waterfalls in Jamaica rake in raving reviews from thousands of visitors year after year. Fun and adventure in Ocho Rios doesn’t end at the waterfalls. The Mystic Mountain situated within close proximity to Dunn’s River Falls is known for its bobsled on a rail and zipline through the tropical forest overlooking the Caribbean Sea. Additionally, there is also horse-back riding, ATV Tour, river tubing among other interesting and exciting activities.